Welcome back to another weekly fashion post for real women with real clothes. 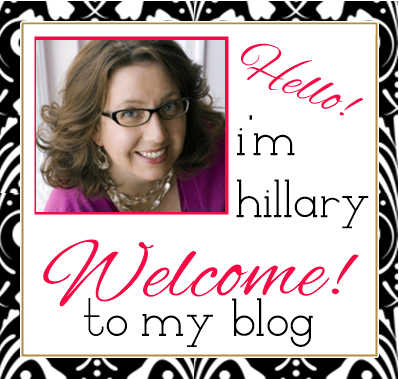 If this is your first time here, each week I share some fashion tips and outfit ideas from my own life (and closet), that I think can help other real women get dressed and look great. Today's post is all about those dots. I don't know about you, but I tend to gravitate towards polka dots. There's just something about them. The fun thing about polka dots is that they can be easy to mix with other patterns (say florals). I'm not very good at mixing patterns, but with polka dots, I can occasionally pull it off. With dots, it's all about scale. Large dots look great on a dress or skirt. Add bright shoes and it's perfection! For my birthday last month, my mom bought me a great polka dot twinset. We must have been on the same wavelength, because I had spotted (see what I did there?) it in the store, and was drawn to it like a moth to a flame. It's a very simple pattern, black with medium white polka dots. Perfect to create a classic all black and white look, add some substance to brights bottoms, or kick up a plain pair of jeans. I went to a workshop recently, and pulled out my new twin set to wear. I wanted something comfortable, with layers since I wasn't sure about the temperature. 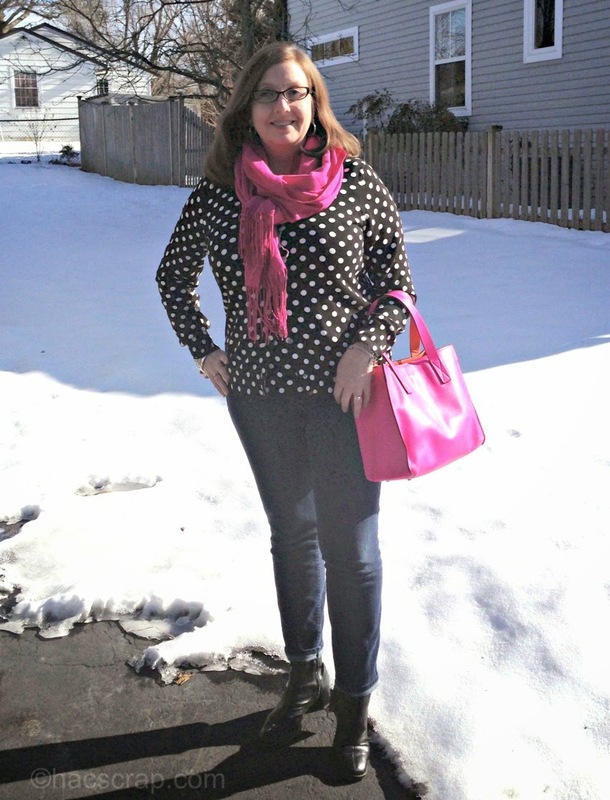 I kept it low-key, but added a bright scarf and bag for pops of my signature color - pink! So a comfortable but stylish outfit. Just the right amount of fun and flair for a snowy but warm winter day. I'm so ready for spring to try this twin set with a pair of yellow capris! Are you dotty for spots?